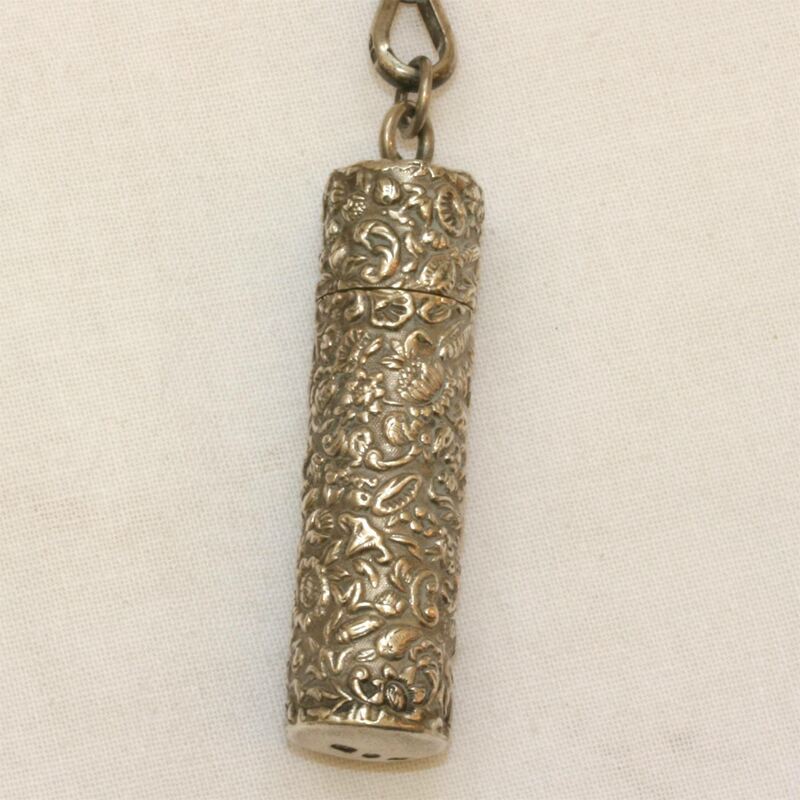 Product code: 1058 Categories: Sold Items, Sold Jewellery. 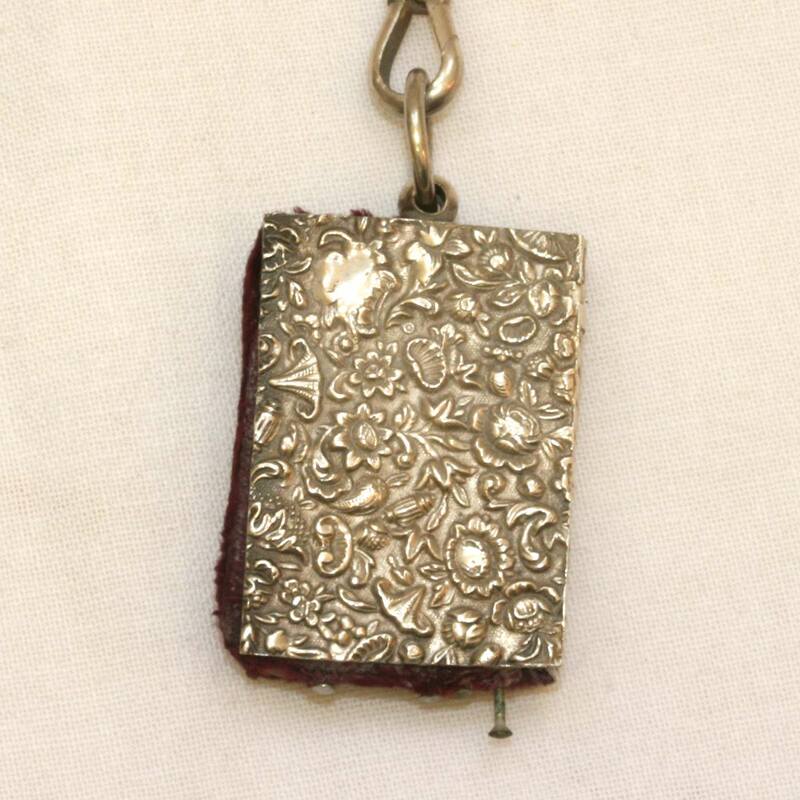 This antique Victorian era chatelaine is truly superb, and so hard to find one all complete. 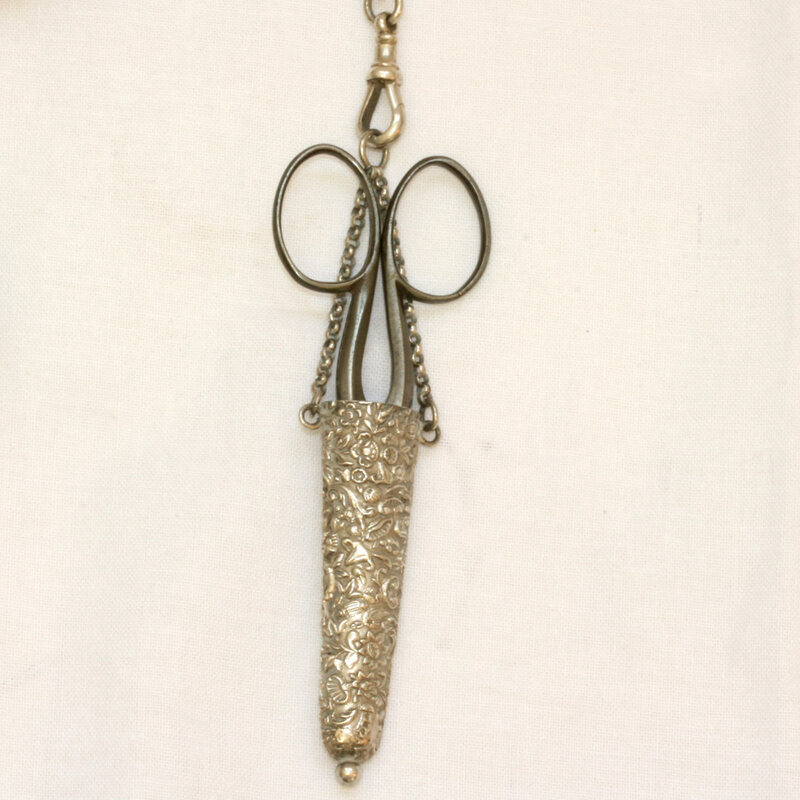 Made in sterling silver, this magnificent chatelaine includes a needle case, pin cushion, thimble holder and thimble, tape measure (which has come out) and scissors and scissors holder. 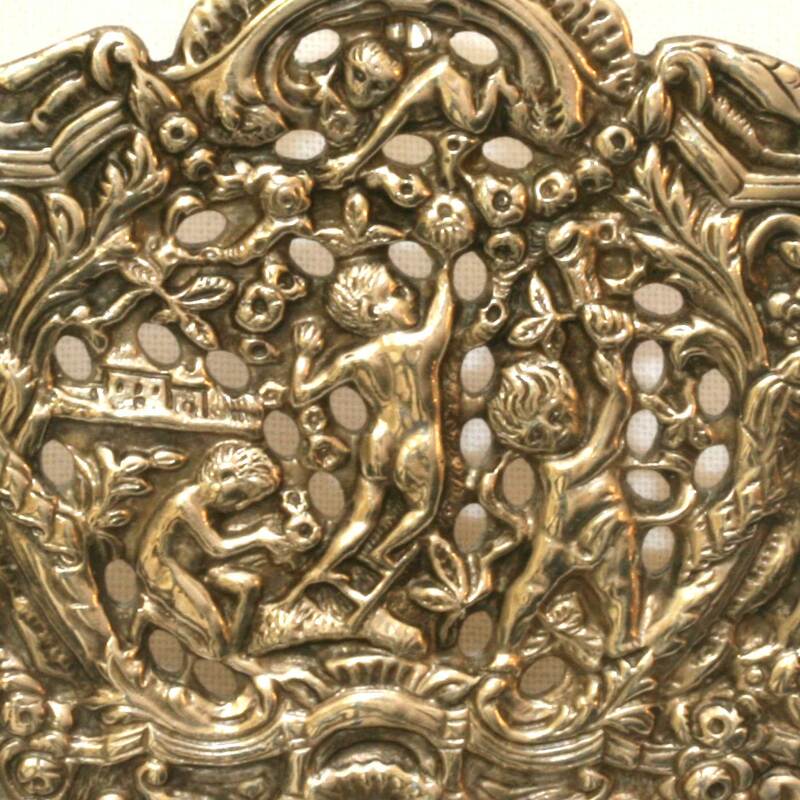 Chatelaines are wonderful to hold and admire, and this one has so much attention to detail, so typical of the Victorian era. The top part down to the chains and swivels were made in Chester in 1890, and all the accesories were made in Birmingham 1889. From this time, it wasn’t uncommon to have one company make one part, and another to make the other parts, and to have this all together is truly wonderful. Being made in sterling silver instead of some lower quality metals also makes this sensational and a real quality made piece, and to get all five attachments still together and matching, will be very hard to find another. If you are after a real collectors item that is so hard to find, then this must be it.